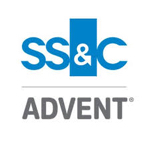 SS&C Advent is laser focused on helping our clients compete and thrive. Our solutions eliminate boundaries between systems, people and information. So you can make better informed decisions, accomplish more in less time, manage and minimize risks, and comply with complex regulations. Today, as a business unit of SS&C, our commitment to your success is as strong as ever. And our ability to deliver has been strengthened by SS&C’s vast global portfolio of technology applications and services. Our combined companies deliver innovative solutions to more than 10,000 financial services organizations worldwide. 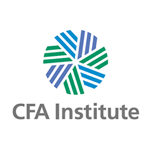 Together with our clients, we are continuing to transform the investment management industry. For more information on Advent products visit www.advent.com. Financial Investment News is the #1 provider of manager searches, news and information for the business development, marketing and client service professionals at institutional asset management firms. Financial Investment News offers fin|searches, the most powerful manager search database and directory available for the institutional asset management space; fin|daily, a daily e-mail product that covers the US defined benefit space; Nonprofit News, a weekly e-mail covering the foundation and endowment space; and Emerging Manager Monthly, a monthly e-newsletter that provides news and analysis for small, boutique and women- and minority-owned asset management firms. Guardian Performance Solutions LLC (GPS) is a specialty compliance consulting firm dedicated to assisting investment advisers with performance advertising. Areas of focus and expertise include reviewing performance advertisements for adherence with regulatory requirements and working with investment management firms to achieve and maintain compliance with the Global Investment Performance Standards (GIPS®). Because GPS does not provide verification services, GPS is free from independence concerns and can take a hands-on approach to developing and managing an adviser’s GIPS compliance program. Additional information can be found at www.GuardianPerformanceSolutions.com. Taking ownership of compliance means staying ahead of the regulatory landscape, seeing the big picture, and maintaining control. But it doesn’t mean doing it on your own. Compliance Solutions’ employee-monitoring offer includes Schwab Designated Brokerage Services, Schwab Compliance Technologies®, and a wide range of financial products and services for employees. These solutions can help you proactively manage compliance, promote a positive employee experience, build long-term value across your business, and instill trust with clients. Solomon Exam Prep has helped thousands of financial professionals pass their FINRA, NASAA and MSRB Series 6, 7, 63, 65, 66, 24, 26, 27, 28, 50, 51, 52, 53, 62, 79, 82 and 99 licensing exams. Solomon’s study materials consist of exam study guides, online exam simulators, audiobooks, online video lectures, online study courses, individual tutoring, “Ask the Professor” individual question responses, workbooks and mobile apps, and are designed to address the learning needs of all kinds of test takers. Save 5% now on our study packages through the Focus 1 partner page: http://solomonexamprep.com/partner/focusone.